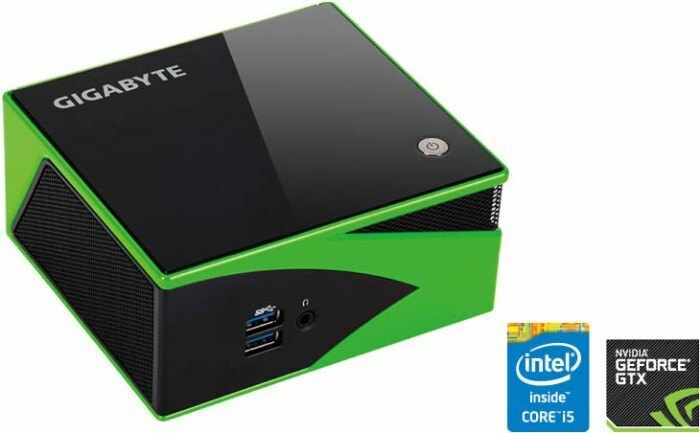 GIGABYTE BRIX Gaming is a tiny gaming PC that fits on small and sleek case (5.96 x 12.8 x 11.54 cm). 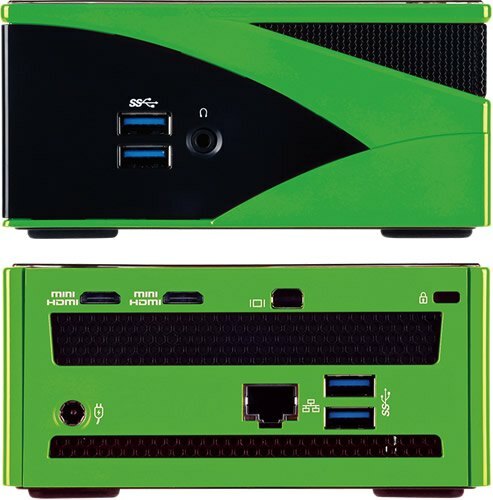 BRIX Gaming is available in green color with a NVIDIA GPU or in red color with AMD GPU. The BRIX Gaming with NVIDIA GPU is fresh update (see this Press Release) of the BRIX Gaming family. The green Brix Gaming includes an Intel Core i5 4200H CPU and a NVIDIA GeForce GTX 760 GPU. The BRIX does not include SSD (there is one place for a 2.5-inch hard drive) or memory, you have to install these components yourself (DIY…). 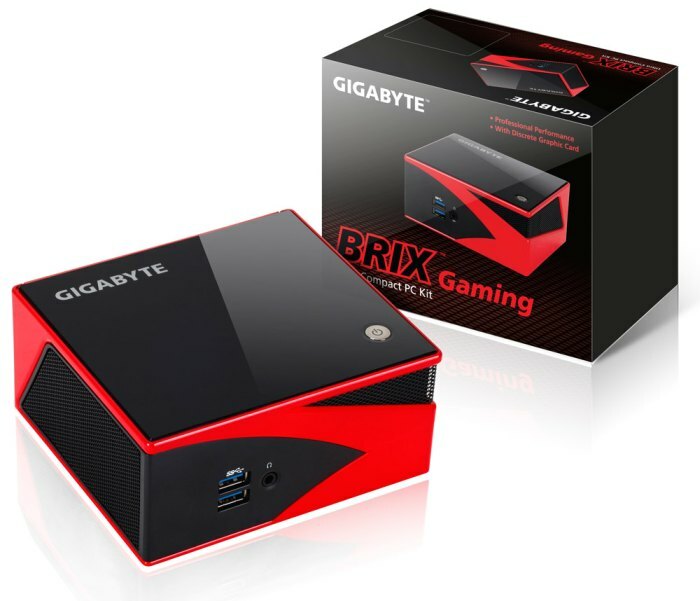 The BRIX Gaming with AMD GPU includes an AMD A8-5557M APU and an AMD Radeon R9 M275X GPU. More info about this gaming box can be found HERE.